For many years, well-known fashion and entertainment celebrities have been hosting elegant “white parties” each summer in New York’s stylish Hamptons neighborhood. 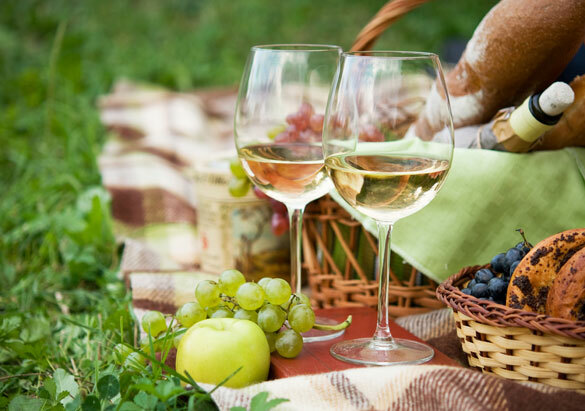 Featuring all-white clothing and décor, these iconic events are a celebration of all things warm weather-related and summer-worthy—including wines! Ready to host your own summer white party? 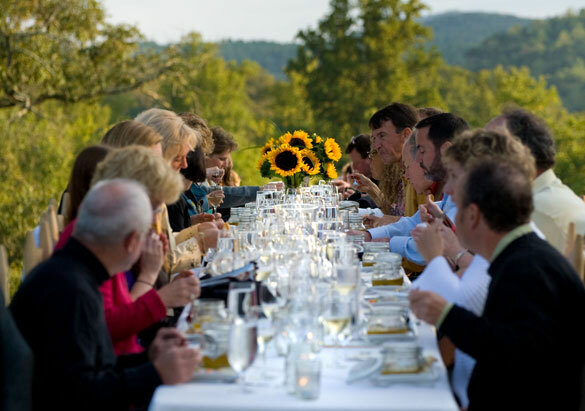 Biltmore Wines and Biltmore For Your Home have teamed up with some hot tips for a cool time! Tip: Gardens and patios with easy access to the indoors makes for a great party, and hosting your event poolside makes a big splash! Tip: Offer flights of whites for your guests to taste and enjoy. The following Biltmore wine flights are listed in our recommended tasting order from lighter styles to those with more body. 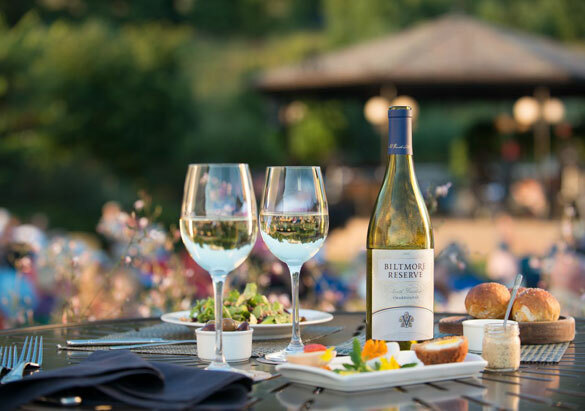 • Dry white flight: Biltmore Estate Pinot Grigio, Biltmore Estate Limited Release Sauvignon Blanc, Biltmore Estate Chardonnay, and Biltmore Reserve North Carolina Chardonnay. • Sweet white flight: Biltmore Estate Limited Release Gewürztraminer, Biltmore Estate Limited Release Muscat Canelli, Century Sweet White, Biltmore Estate Limited Release Chenin Blanc. • Sparkling white flight: Biltmore Estate Brut, Château Reserve Blanc de Blancs, Biltmore Estate Blanc de Blancs, Biltmore Estate Blanc de Noir. According to Holly Clark, Marketing Manager, Biltmore For Your Home, it’s easy to make the most of white-themed décor with estate-inspired offerings from our licensed partners. 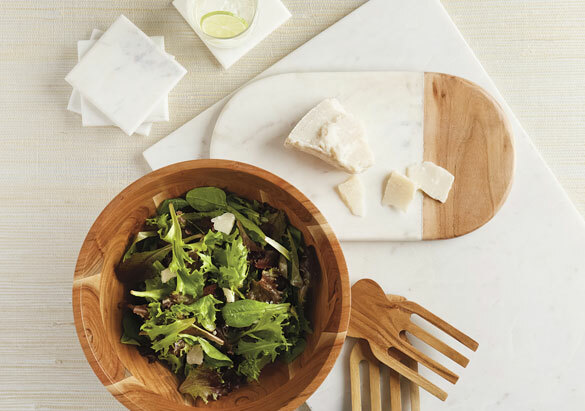 “The pieces from our Artisan Serveware Collection by Belk feature light-colored acacia wood and marble, making a great style statement that’s wonderfully functional, too,” Holly said. Tip: Start with our Artisan White Marble Pastry Board to create a serving station or a centerpiece foundation for florals. Pair our Artisan White Marble Coasters with any of the wine flights above, then use our Artisan Acacia and Marble Oval Cheese Board to serve a selection of delicious cheeses that complement the wines—elegant and easy! Bonus: The light wood of our Artisan Acacia Salad Bowl and Salad Claws won’t clash with your white theme, so go ahead and serve in style. Cheers to your wonderful summer white party! Once you’ve chosen your location, selected wines, and styled your décor, what’s left? Invite friends and family to join you for a wonderful summer celebration! 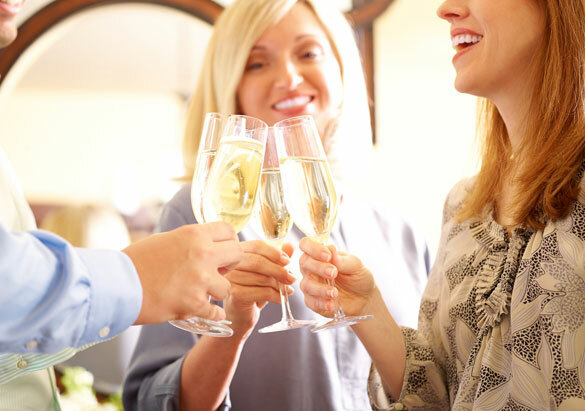 Tip: Keep the party kid-friendly with plenty of Biltmore Sparkling Grape Juice!